Pioneer Theatre has seen a key state grant drop from $85K to $45K as Utah arts groups have multiplied. Now lawmakers may triple that funding. 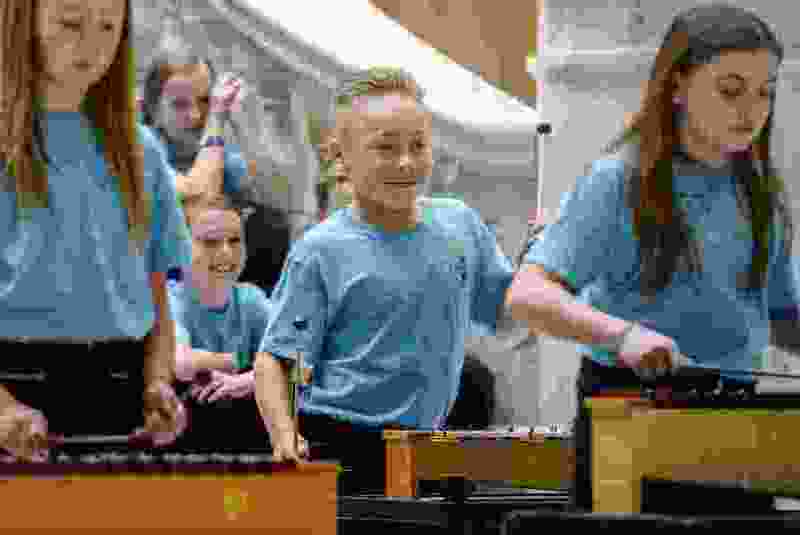 ( Leah Hogsten | The Salt Lake Tribune ) Tristan Fife from North Park Elementary School in Cache County dances while waiting to play the glockenspiel with his fellow classmates as they perform during Arts Day on the Hill. In a ghost town near Leeds — far away from the decision-makers in the Utah Capitol — Ronald Cundick is trying to keep a bit of Utah history from falling apart. “You have to use old mortar. You can’t use new mortar. It’s too strong; it breaks up the bricks,” said Cundick, president of the Silver Reef Foundation, which operates the Silver Reef Museum outside Leeds in Washington County. 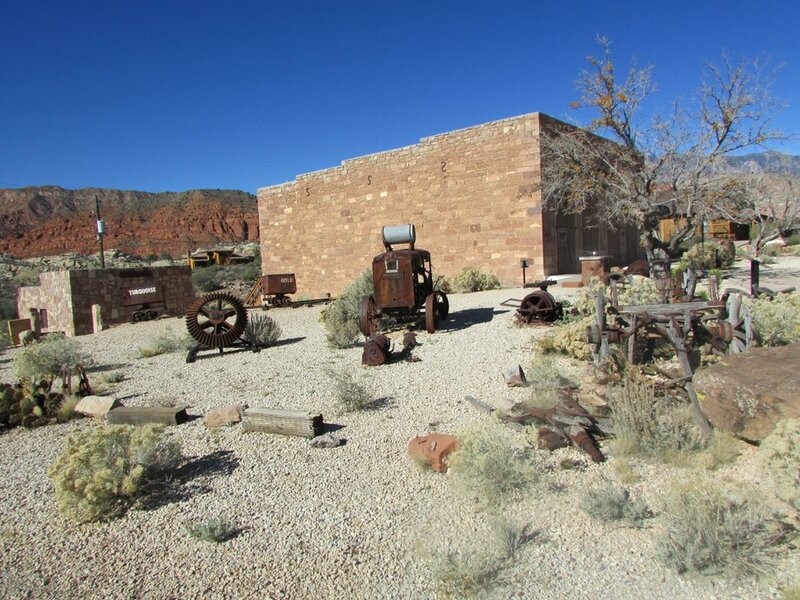 The museum maintains — or tries to — a collection of buildings left behind from the 1870s, when a rare silver strike in sandstone made Silver Reef a prosperous community bigger than St. George, 15 miles to the southwest. Now the museum, run by a manager and volunteers like Cundick, is based in the old Wells Fargo stagecoach depot, gathering artifacts of life in a boom town. (Tribune file photo) The Wells Fargo Express Station, part of the Silver Reef Museum in the southern Utah ghost town of Silver Reef, about 15 miles northeast of St. George. Cundick’s foundation gets help from Utah taxpayers via the Utah Division of Arts & Museums. Last year, Silver Reef Museum received an operating grant for $6,400. Vicki Bourns, the division’s director, wishes it could be more. “Even if we had a couple more thousand dollars, we could bring more school kids in,” Bourns said. That might happen this year, as the Utah Legislature is on the verge of giving Arts & Museums’ grant program its biggest boost in decades. Silver Reef Museum was one of 248 organizations that received a slice of the $1.6 million in the Arts & Museums grants budget for fiscal year 2018. That money goes to nonprofits and municipal arts agencies of all sizes, from the smallest rural town to the major arts groups in Salt Lake City. Gov. Gary Herbert’s proposed budget called for an added $6 million to the division’s grant fund. In the Legislature, an appropriations subcommittee last month, with little comment, cut that to $3.5 million above the current level. If that funding is approved — and the state budget is never final until the legislative session’s last day, which this year falls on March 14 — Arts & Museums would have $5.1 million to give out, more than three times what the division distributed last year. During a recent “Arts Day on the Hill,” Bourns and state officials made the argument that arts and culture are good for the state. They note that Utah’s cultural community provides 63,513 jobs statewide, creates vibrant communities, encourages at-risk students to go to college, and sparks economic growth by attracting new businesses. For museums and arts organizations — covering such fields as music, dance, theater, visual arts, literary arts and history — the hope of a bigger grant fund is exciting. Under the state’s distribution system, Arts & Museums gives grants based on a percentage of the organization’s revenue. Some get a few hundred dollars, some get thousands. USUO received $150,000 from the state last year, the biggest grant of any group in Utah last year. 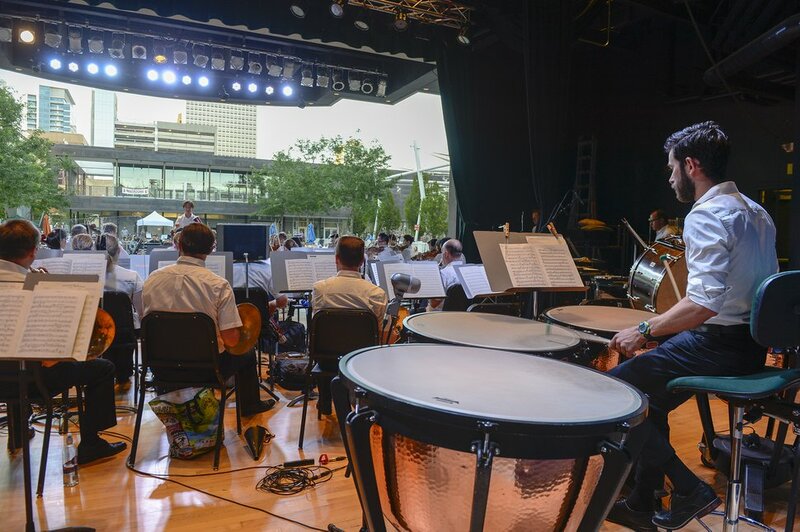 (Leah Hogsten | The Salt Lake Tribune) The Utah Symphony performing at the Gallivan Center, June 25, 2018. Utah Symphony | Utah Opera is the largest single recipient of Utah Division of Arts & Museums grant money. Established groups have seen their slice of the pie get smaller. Chris Lino, managing director of Salt Lake City’s Pioneer Theatre Company, said that 25 years ago, PTC’s grant from the division — then called the Utah Arts Council — was about $85,000. Last year, PTC got $45,000. When the National Endowment for the Arts was created by the U.S. Congress in 1965, Utah was an early adopter, Bourns said, because “we already had something in place.” Of the $1.6 million Arts & Museums distributed last year, about $700,000 came from the NEA; the rest came from state coffers. Grant applicants must go through a peer-reviewed application process. “They read the grant [applications], they read the audits, they track your bookkeeping, they go out and see what you’re doing, they hold workshops to make sure your arts criteria are valid,” Smith said. Wendi Hassan, executive director of the Cache County for the Arts in Logan, said the process keeps organizations on their toes. “Everything you do in those grants forces you to do best practices,” she said. Fanny Blauer, acting executive director of Artes de México en Utah, said grant writing is time-consuming. “You’re talking 15 or 20 hours of investment,” said Blauer, who volunteers her time to do the accounting work. Last year, her group got a grant for $1,500 — and the group matched it with more than $2,000 in small donations. The Arts & Museums grants don’t go to capital improvements or construction of new facilities. They go to operating expenses, the unglamorous day-to-day running of the organization. The biggest expense last year at Silver Reef Museum, Cundick said, was new computers and software to run the museum and its adjoining gift shop. Bourns and her staff encountered that problem when they practically stumbled on the Silver Reef Museum while on a tour of southern Utah. “I’ve seen the sign [on Interstate 15] that said ‘Silver Reef,’ but I never knew what it meant,” Bourns said.